United Fiasco: How Do Airlines Select Who to Remove From Overbooked Flights? It's arguably the most notorious airline story of the moment: Dr. David Dao was randomly selected to be removed from an overbooked flight, refused, and was subsequently dragged off the flight, triggering a wave of public outrage and a flurry of apologies from United Airlines. But how exactly was he picked? That much is less clear. Passengers on the flight told NBC News the airline had picked passengers at random using an algorithm, but industry insiders and the airline’s contract with its flyers indicate it’s unlikely the algorithm left much up to chance. Airlines overbook flights using an algorithm to offset losses from seats that would otherwise go empty should a passenger not show up. That's standard practice, said Joseph Lamonaca, an aviation attorney and airline transport pilot. “The original algorithm was to make money — it’s a money maker,” Lamonaca said. When the algorithm guesses wrong and passengers are left without seats, the airline must first search out flyers who will voluntarily de-board. In most cases, volunteers are compensated for their troubles. If volunteers are in short supply, as they were on flight 3411, the airline must pick which flyers get the boot. According to United’s contract of carriage, the airline will give priority to unaccompanied minors and passengers with disabilities, de-boarding them last. But outside those groups, things become a little more complicated. NBC News reached out to United for comment but did not receive a response. The airline will look to a passenger’s enrollment in their frequent flier programs and to the fare class of their ticket, said Brett Snyder, author and founder of the Cranky Flier travel blog. If it comes down to it, the airlines may compare check-in times. Passengers who are involuntarily bumped are entitled to compensation, too. United’s contract of carriage says passengers may receive up to $675 if the flight arrives between one and four hours after the planned arrival time of the original flight. If the rescheduled flight arrives more than four hours later, the passenger is entitled to up to $1350 from United. Longer flights with many stops might decrease one’s chance of getting bumped, said Ross Aimer, CEO of Aero Consulting Experts, an aviation consulting group, and a retired United pilot. He couldn’t say the same of booking flights in advance. Since tickets bought earlier tend to cost less, being an early bird could up chances of getting booted. Location plays a part, too. 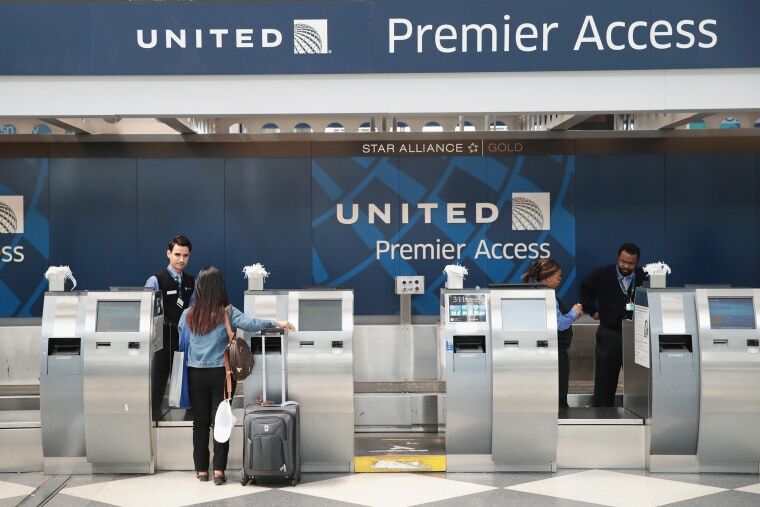 Bumping is more common at large hubs like Chicago’s O’Hare International Airport, where Dao was violently removed from flight 3411 by Chicago aviation officers, Lamonaca said. Bumps are less frequent to destinations with limited flight paths. And though some lawmakers have been incensed by Dao’s treatment, bumping may get worse before it gets better, Lamonaca said. Airlines may have to ferry more and more crews around the country to keep up with demand. The industry is currently experiencing a pilot shortage caused by a lack of experienced military pilots entering the private sector, as they did after World War II and the Korean War.